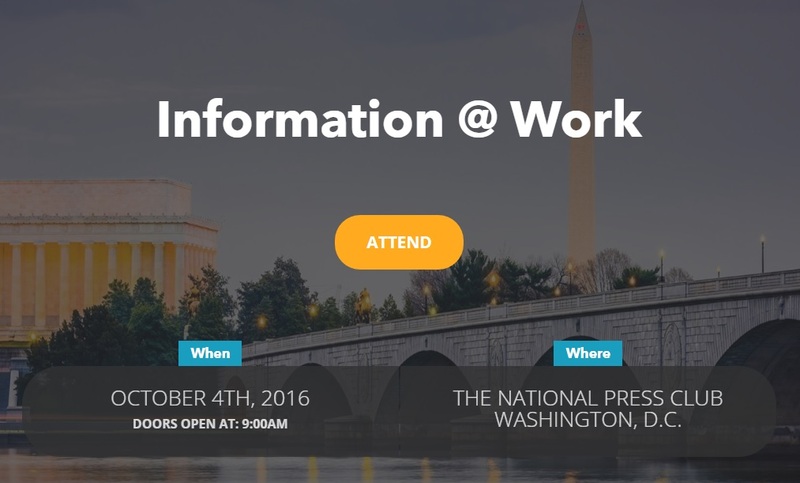 On October 4, AIIM International is hosting a free 1-day seminar at the National Press Club in Washington, D.C. called Information @ Work. NEOSTEK is a proud sponsor of this event. Join us to learn how to better put your information to work. NEOSTEK will be leading a round table session on how to get started with Information Strategy. Come by our table and say “hi!” on 10/4.